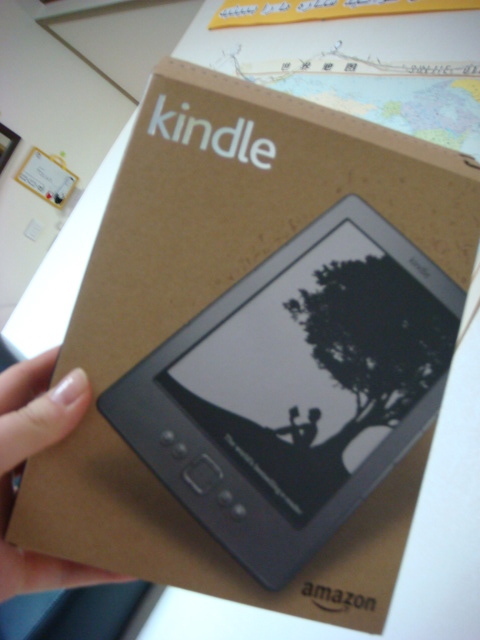 For my birthday I asked my parents for a Kindle. I wanted one, but only reluctantly. In Korea I read quite a lot of books. My friends out here always joke about me being a bookworm, which is funny because compared to my family I don't read that much. My brother has enough books to open his own library, seriously. Although I prefer books a kindle is so practical for travelling. I used my kindle for the first time in Bali and here is my verdict. 1. The main reason for getting a kindle; Books are bulky, heavy and take up room in a suitcase. My kindle is very small and light. It can hold loads of books. 2. When you board a plane you have to turn off all electronic equipment. Including a kindle. With a book you don't have to worry about turning it off. A book doesn't freeze and need to be restarted, which happened to me on the way to the airport. A book is trustworthy, as long as you don't rip out pages or put it in a shredder your reading won't be disrupted. 3. I'm not worried if my book gets scratched, dropped, lost or thrown in a puddle of water. It will dry! No one is going to bother to steal your ripped, battered, chocolate smeared book. Kindles are worth a lot more and therefore more of a risk. 4. The dictionary feature of the kindle is great, except that is isn't comprehensive enough. One of the first books I read on mine was 'Greyfriars Bobby' written in Scottish dialect. It was tough to work out what some of the words meant because they were either not in the dictionary or it came up with the wrong description. 5. If you're on the bus/train/plane and you finish your book, you have to either carry around two books to start your next one, or you have to wait until you can get your hands on your next reading material. With a kindle you can download a few books and therefore as soon as you finish one book you're ready to start the next one. 6. It just isn't the same as reading a book. The kindle screen is great, it has no glare and looks quite like a printed page, but it's not. You don't turn a proper page, and pushing a button will never be the same. There's no blurb on the back or cover on the front. If you've read a really good book you can't hand it onto a fellow traveller or bookreader when you've finished. A kindle will just never be as nice as reading a traditional printed bound book.